Many studies have explored how beneficial sleep is at any stage of life, and now a new study is advocating for teens to get a little extra sleep and head to school later. According to the researchers, pushing back school start times -- less than just one hour -- was found to significantly reduce driving accidents among students. The researchers’ primary efforts with this study were to see if safety could be improved among teen drivers by giving them more time to get to school in the morning. To see if teens were safer when they got a later start, the researchers evaluated both the average amount of time teens spent sleeping during a weeknight and general driving records and accident histories. The researchers relied on the student participants -- all between the ages of 16 and 18 -- to self-report on their own sleeping habits. The team then utilized the Virginia Department of Motor Vehicles for accident reports and the Fairfax County Youth Survey to see if and when teens were driving under the influence. 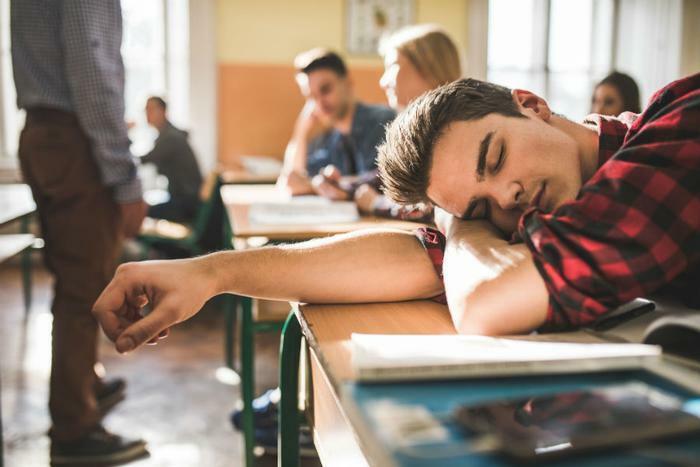 The study included data from two school years; the first (2014-2015) was used to gain an understanding of the average amount of sleep teens were getting, what time school started, and what their driving records looked like. For the 2015-2016 school year, the school district pushed back the start time of school by 50 minutes to see if teens’ driving improved with nearly an hour more time in the morning. The researchers found that starting school at 8:10am as opposed to 7:20am improved the overall safety of teens’ driving. The number of alcohol-related driving accidents decreased by 20 percent over the two-year period, while distracted driving accidents decreased by nearly nine percent. Overall, the researchers found that the later school start time decreased all teen accidents by over five percent. The researchers hope that legislators and school districts look at these findings and work towards implementing policies that would improve teens’ safety behind the wheel. “Interventions in reducing sleep loss in young drivers such as delaying school start times may significantly reduce needless injuries and deaths due to drowsy driving,” said Dr. Saadoun Bin-Hasan. Many recent studies have been devoted to emphasizing the importance of sleep -- particularly for teens. Researchers have found that many teens aren’t getting enough sleep. Experts recommend that teenagers should get anywhere from eight to 10 hours of sleep per night, which isn’t the case for many teens. Moreover, that lack of sleep was found to be the catalyst for many teens to engage in risky behaviors.